Invest in smart choices in going with vinyl windows. Look for conceptual estimates in the “How-To guide” to U.S. Department of Housing and Urban Development Office of Policy Development and Research to see the trends that are happening in old and new houses alike. Window replacements are the most common home improvement projects today. With rising energy cost and global warming, many home owners are now looking to replace windows that in many cases are relatively new and still functioning properly. Energy efficient vinyl dual-pane replacement windows also offer sun protection. Many companies apply a “low-e” coating to the glass, which blocks out a significant percentage of the sun’s harmful UV rays. This protects your carpets and your furniture and, most importantly, your family from sun exposure. From this window efficiency is a key driver of replacement growth. Safety is the main reason why we go with vinyl replacement windows. If you have old windows that have flimsy or non-existent locks that are failsafe which is the reason why, vinyl windows offered solid locking mechanisms and burglarproof features. The demand for replacement windows has largely been driven by consumers’ desire to decrease their energy bills. Another key reason why we decided to replace the aluminum frame windows was the noise factor. Dual-pane windows provide a significant noise barrier that practically eliminates outside sound. Aesthetics are a major reason to consider vinyl replacement windows. They simply look better. You can often customize the window finishes to match your home’s paint color scheme. 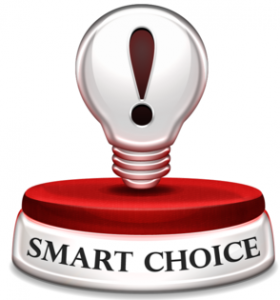 Making smart choices will lead you to smarter ways and better investments not now but preparing for the future. Consult with your contact and see what the smartest choice is and cost efficient choice in replacing your windows. With any questions about vinyl windows or to request a quote on anything else: Visit our website www.accuratesidingandwindows.com under the Contact tab or give us a call +757-301-6972.